Editor’s Note: Lake Pleasant is at 1,635 feet in elevation, 36 % full. 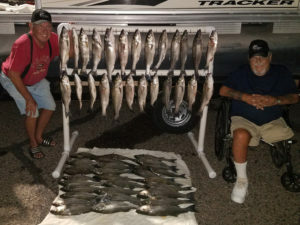 On Monday Sept. 10, Edward Boll and Walter Rivers caught 54 stripers while with Clayton Ross of Striper Adventures. 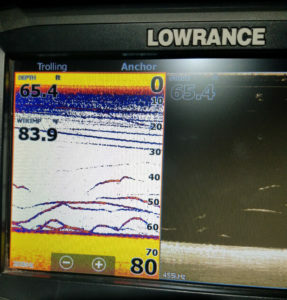 On this particular day, we were in 65 feet of water and catching them very close to the bottom. I cannot stress enough how light of a bite it is and as Ed and Walt discovered (after about an hour and many missed bites) if you feel the slightest tap, SET THE HOOK. Also one of a stripers’ favorite ways to eat is gabbing the bait and swimming up so you never feel it. We call this a “slack line bite”. 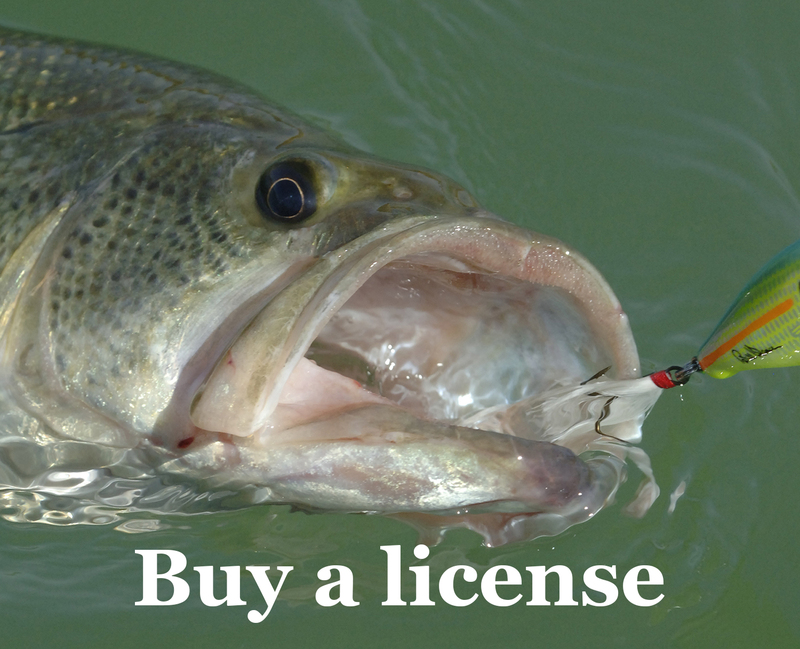 At Striper Adventures we always (this time of year) use a 1-ounce weight on the bottom on a dropshot rig for two reasons: First, a 1-ounce weight gets your bait down faster and it keeps it tight when, after reaching the bottom and you reel it up just enough to lift it up and keep it tight. Now keep in mind, this is when, as my graph picture shows, the fish are on or real near the bottom. If while you are standing there at the bottom — as we said — and your line goes limp, SET THE HOOK, as I always tell clients, hook sets are free! !